Have you considered restoring any object with sandblasting services? If you're looking to have any surfaces prepped or restored there is a better way than having it done using sandpaper or steel wool by hand. Sandblasting will achieve the same result and better to the object you desire to restore. Here at sandblasting Jacksonville FL we can provide you with the best methods and strategies for difficult sandblasting projects and the service for executing a well done job for restoring your objects. With our services all of your old and worn looking items will look fantastic in a reduced time frame, much less than that of sandpaper and wool steel techniques, which can take days or even weeks. If you have an item that you've considered having cleaned in order to refine it and restore it to its natural glory, Jacksonville Dustless Blasting is here to provide you the service of doing so. Our Sandblasting Company is proud and one of the most professional abrasive blasting teams in the area, providing you with the best solutions for sandblasting your precious items. We can save you numerous hours of time by letting you step back and relax while we and apply our sandblasting technique, which are very effective. We will reduce the time it actually takes to remove corrosion, contaminants and any possible surface distractions that you can possible think of. The team here will successfully complete a sandblasting project on any object that you need assistance with restoring. Our skilled professional sandblasters have expertise in all areas of blasting and will provide you the safest techniques and services for prepping and restoring any item. Dustless blasting, otherwise known as abrasive media blasting is what we excel at. 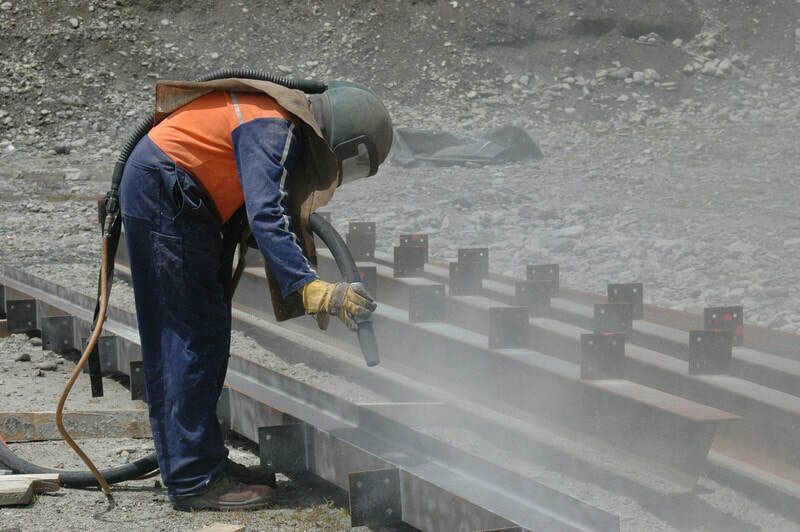 We use Particulate matter with varying mediums to sandblast items and we use high -pressure jets with different material mixtures that are environmentally safe to remove years of corrosion, dirt, rust and more. We also work across many surface types like wood, plastics, metals and stone or stone like surfaces. If you need a comprehensive consultation or just need our service, don't hesitate to call us, so we can get your project underway. If you need sandblasting in Jacksonville Florida, our professionals will create breathtaking results on all of your projects. Our professionals are polite, courteous and always willing to do the work. We love assisting with sandblasting projects on any item. If you should have any particular questions about what the entire service entails please reach out to us so we can give you a comprehensive look at what you'll need done. ​We'll schedule your sandblasting appointment today! You should use our sandblasting service because it is used for a wide variety of projects dealing will surface cleaning and restoration. Sandblasting is the nature of which a surface has elements of corrosion, rusting, paint and much more that will ultimately have to be eroded by using different media types like sand, glass bead, plastic abrasives and much more to remove the corrosion and more. Sandblasting or blasting, is the technique in which high pressured water with media materials or dry air pressure with media materials are blasted toward an object to clean, refine and restore its surface. Anything from a crafted finished items to different types of metals can have their surfaces blasted with applicable media materials that are safe and unique to these different object types. Blasting is popularly used for the removal of paint and contaminants but, it also is advantageous for smoothing out a rough surface, or roughening a smooth surface if that's a service you want provided. Blasting can also be applied to give shape to an object. If using different sandblasting techniques you'll find how different and unique the techniques are with the different media used. Also the idea of sandblasting replaces the use of overly abrasive sandpapers and the mess that comes with using it. ​Sandblasting or blasting is an efficient, and very quick procedure that delivers the best results for restoring any object. Sandblasting is certainly considered to be one of the most effective ways to strip, smooth and shape the surface of any object type whether it's wood, metals, or stones and more. The technique that is put into sandblasting is more effective but, its effect is somewhat similar to that of actually sandpapering an object to result in a smooth, strip or shaped surface. Sandblasting also provides your objects with a better quality in finish, which is more even, even in the corners and hard to reach areas of an object. Sandblasting aptly uses a compressed or pressurized air or water blast with media materials such as sand, glass beads and other quality abrasives that comes in a high quality grit and is blasted through a nozzle. The nozzle is directed at the desired object and then blasting is applied to clean, refine or restore the surface of the object. The abrasive materials are highly effective for rapidly removing the surface of an object, meaning paint, oil and more, especially deadly things like E.coli, salmonella and other risky contaminants. The technique of sandblasting will leave the surface of an object clean and restored. Throughout the years there have been major advances in the sandblasting industry to develop more media materials that are environmentally friendly for sandblasting, to rid the industry of needed use for sand. The different types of materials, also known as media, include steel shot, glass beads, organic material like corn cob, as well as powdered abrasives, which can come in a lot of different grades for specific sandblasting projects. All of our blasting services is done with high pressurized air or water mixed with different media materials that are best for cleaning, refining and restoring specific surfaces types. ​With the range of blasting and media you’ll need to know which one(s) is right for your project. Please contact us to learn more about our services. We use environmentally safe alternative medias like soda blasting for boat blasting that's highly safe. With our boat blasting service we provide you with superior techniques for the removal of contaminants and we also remove those contaminants from the boat and property. With our dustless blasting service, we provide you one of the best tools for removing particles and other surface issues without a dust-free finish result. 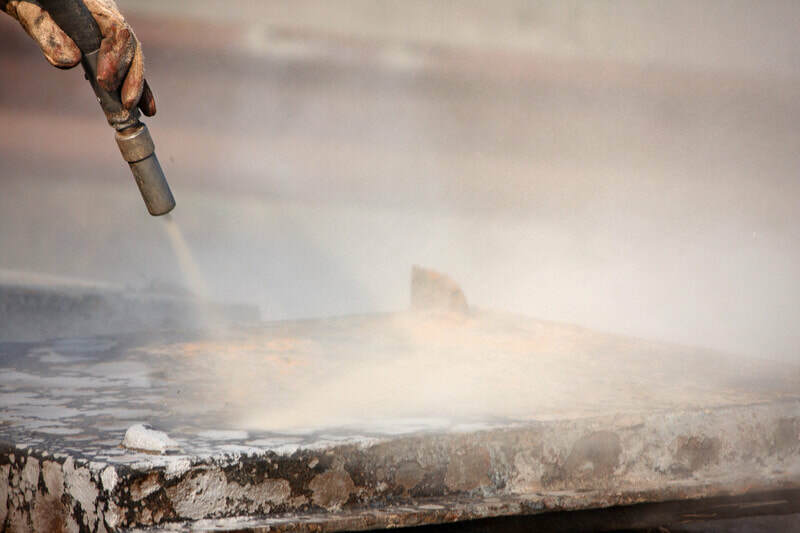 ​Our dustless blasting service is done by mixing water with non-dust forming abrasives. We're constantly increasing our dustless blasting technology updating with the times, while keeping the dust away. Our soda blasting service is a technique which baking soda is applied to the surface of an object. We specialize in this particular media with specialized equipment, which deliver a powerful but delicate touch to any object which is highly successful. ​This is an effective service with fast and efficient solutions for the refinement and restoration of a wide variety of different objects. This is a service that we provide to clean a lot of different mediums. 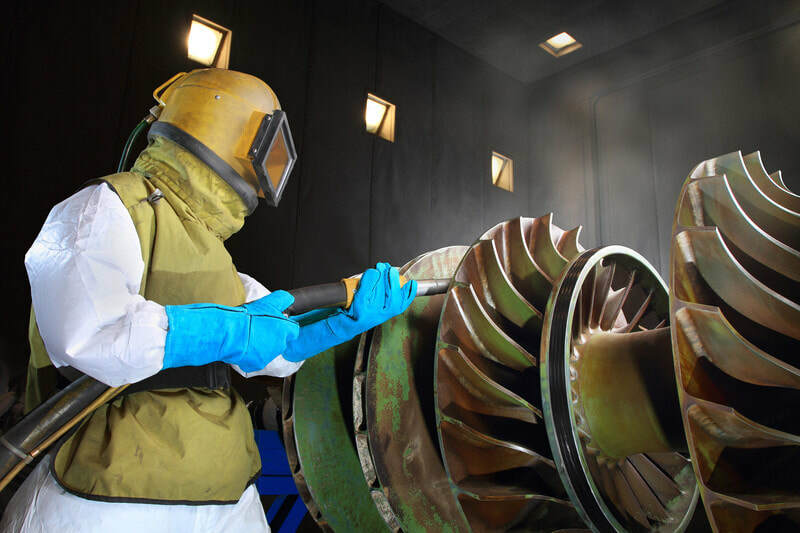 Ranging from industrial equipment to mold and even fire damage, we can apply dry ice blasting to remedy the solution for restoring any surface type. We also use this service for ink, food, rubber, glue, paint removal and more. ​Dry ice is a green cleaning solution to your surface issues, given you a safe atmosphere when the dry blasting project on your item is over. Our machine blasting service is advantageous for cleaning all of your industrial as well as residential machinery. Through our machine blasting solutions, we will remove all contaminants for the service of any machinery, especially those machines use by numerous people daily. ​This service will help you to remove all of the highly risky things such as Salmonella and E.coli which lurks on industrial and residential machines. This service provides building restoration, stone work restoration, masonry cleaning and much more. We can remove graffiti, paint, grime form even the most delicate masonry without damaging it. Also this service is great for restoring the integrity of your masonry. Sponge Blasting is an innovative service we offer which is Sponge-Jet technology that combines the use of a low-dust capability of sponge for powerful cleaning and cutting power for abrasive blasting. It provides superior results that are essential for aggressively profiling and abrading delicate object while cleaning on extremely sensitive substrates. This service technology is for commercial and industrial blasting. ​Similar to our masonry service, we use this service to target cleaning and restoring brick. We can effectively clean your brick building or home facade removing dirt, paint and more. We can also reshape your brick with this service. ​This service provides the most delicate touch to your wood if you need this blasting service for any of your wood objects. This is best for all wood types and has the best results for cleaning and stripping wood without causing damage on the substrate. We use a lot of organic media for this service to effectively clean, reshape and restore your wood. With many different surfaces it just isn't ideal to use certain store bought cleaners for restoring the surface because they won't work. When using media blasting, there are several options for media to choose from. The majority of media used today for sandblasting is safe in an indoor and outdoor atmosphere. Whatever the need for using blasting techniques and services, the techniques are very unique to the surfaces that these media are applied too. The different media that are used are great for the removal of grease, paint, oil and much more without damaging the surface of an object. These media are also great for freshening up an object and overall removing embedded odors. The high-pressurized system of sandblasting provides just the right amount of abrasive with the right abrasive for the object. This will ultimately produce a quality cleaning and finishing action to the object's surface leaving it with a high quality shine, gleam, matte finish or any type of finish that is desired for the object. An extremely sharp and long-lasting abrasive that's best used for etching and profiling objects. A media that's highly aggressive grit for profiling, cleaning surface contamination and profiling the surface. A lead-free media which is actually soda lime-type glass that is free of silica. This media is unique to giving an object a high quality smooth and bright finish. This gemstone has many functionality uses, it's also great for removing coating adhesion and aid when grit media transfer needs to be applied. One of the most durable media that can be used in the abrasives market. It's the best media for cutting as it is aggressive and exceeds durability for hard surfaces on a variety of objects. Call for our expertise in sandblasting near Jacksonville FL today! There are many different types of media in different varieties that can be applied for blasting and the list is long. Some other types of media that you might not see listed above are pumice, steel shot, steel grit, and organic media like walnut shells and corn cob and more. If there's a particular media that is thought can be used then ask the professionals at Jacksonville Sandblasting if they can use the type of material that is desired for your project.